Having our kids learn to ski is something that is important to me and my husband. 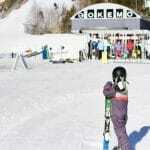 We both enjoy skiing and it’s something we’d like to do as a family over the years. 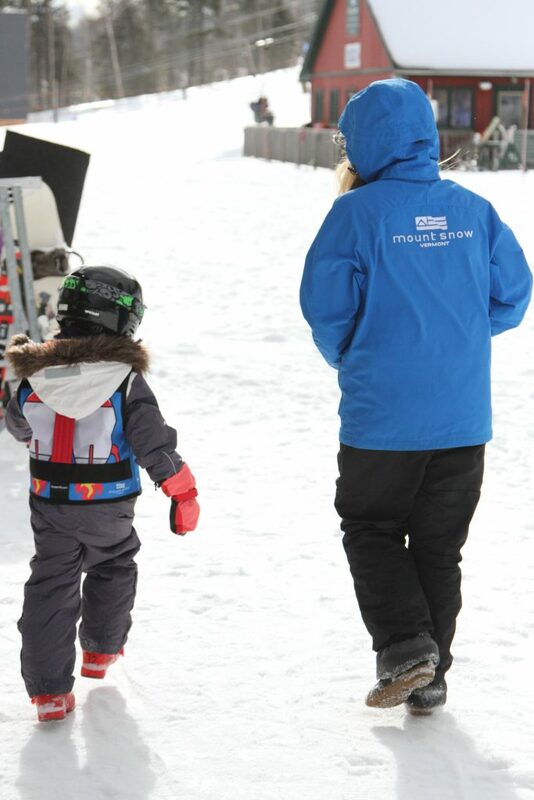 We both decided that having them learn from lessons or a ski school was also very important. We wanted someone to teach them the right way and in a way that was fun (not us arguing with them on a ski slope). Of course, if they decide they don’t like skiing at any point, that’s their decision, but we would be sure to at least have them all learn. This winter, we felt the girls were ready to learn. 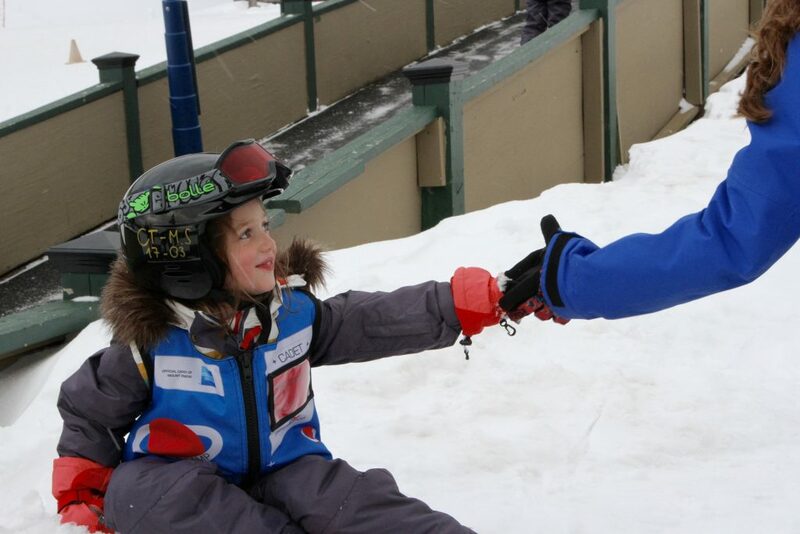 They are old enough for a full day ski program and they both have shown interest in learning. 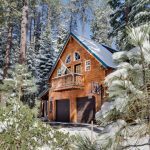 I did a lot of research on where were were going to go and what mountain would have everything we were looking for in our first family ski getaway (more on that in a later post). One of the key things I was looking for, was a great mountain for kids to learn. I had heard wonderful things about Mount Snow and decided that was going to be the place we’d take our first big ski vacation. 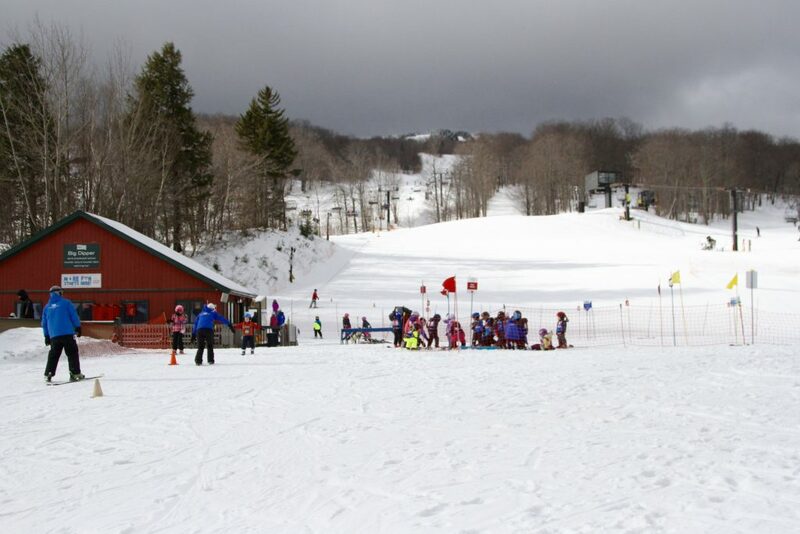 Mount Snow offers both half day and full day ski programs for kids. 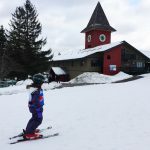 We chose the full day Ski Camp which is specifically designed for ages 4-6 (there is a half day option for Ski Camp too). This was great for us because it meant Maggie and Alex could attend the camp together and add to their comfort in staying for the full day. I went back and forth between full day and half day, mainly because Alex isn’t even in full day school yet. 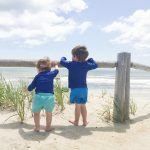 Ultimately I decided on full day for both of them: we were heading all the way to Vermont and we wanted them to really learn to ski. 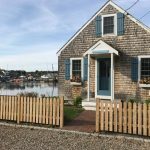 The price is really good because in addition to instruction, it includes a child lift ticket, snacks and lunch. I am so glad I chose the full day Ski Camp. The girls loved it. Even after 6 hours, they didn’t want to leave at the end. They had a blast, loved the instructors and most importantly had a wonderful introduction to skiing. 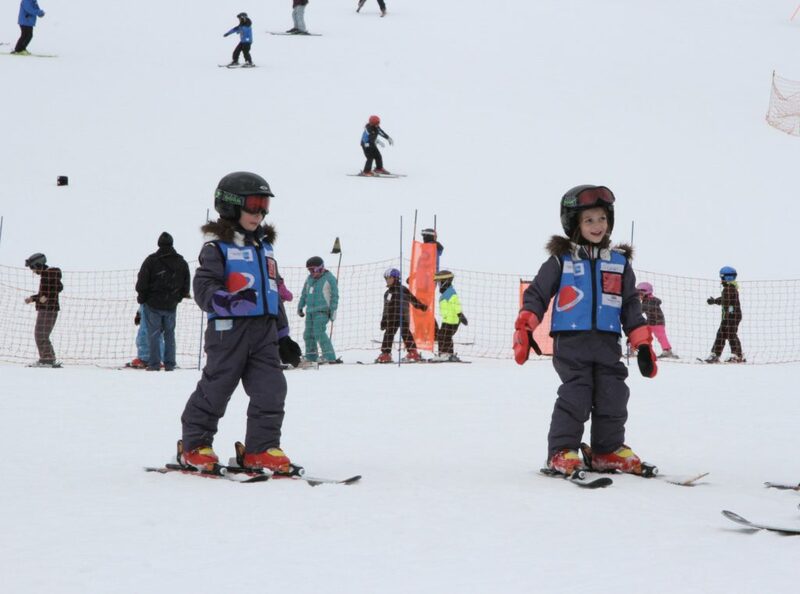 We wanted them to learn to ski but also wanted them to have fun and love skiing like we do. I was so impressed with the instructors. 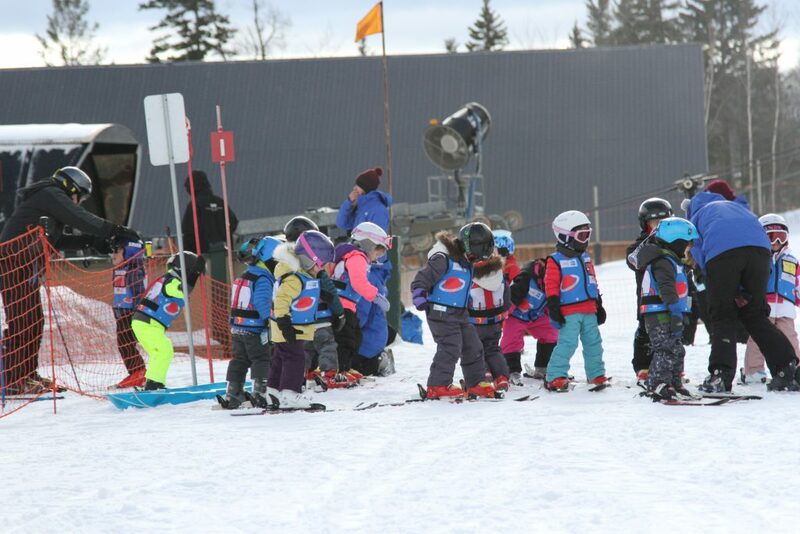 First off: the patience needed to instruct a group of 4-6 year olds that have never skied, wearing a ton of gear they have never worn, while out in the freezing cold is immeasurable. 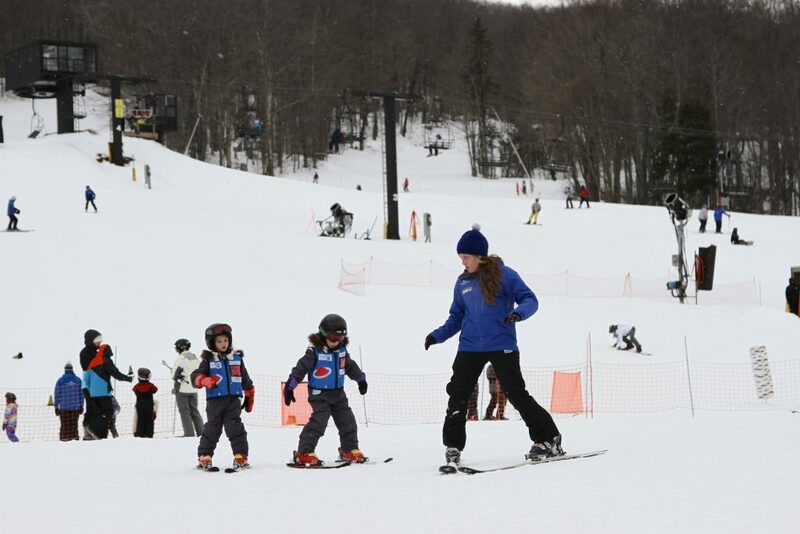 Somehow, at 3:30, they were still smiling, helping and skiing with all the kids. My girls couldn’t stop talking about how awesome their instructors were and they’re still talking about one of the huge highlights of the vacation: running into an instructor at dinner. 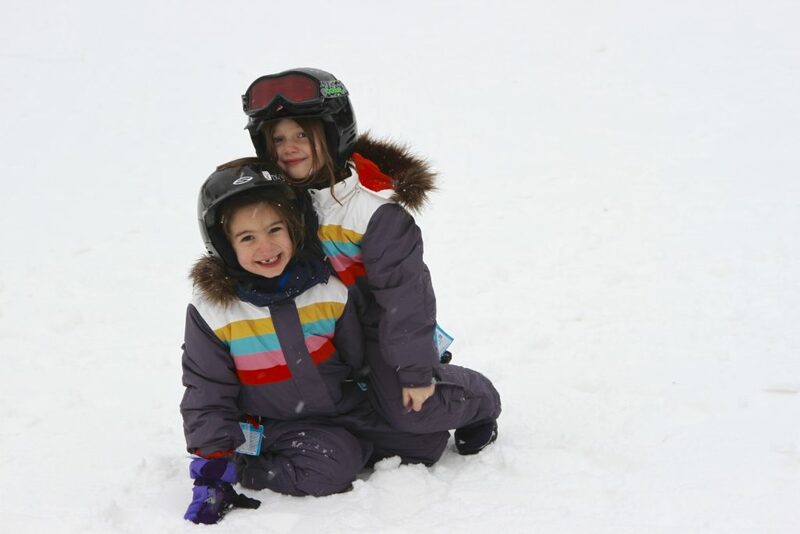 Again, we wanted them to learn to ski, but also learn to love to ski. Having fun, enthusiastic instructors, like the ones at Mount Snow was really important. We signed in at the Discovery Center at 9:30. They went back to a little “classroom” type area after we kissed them goodbye. 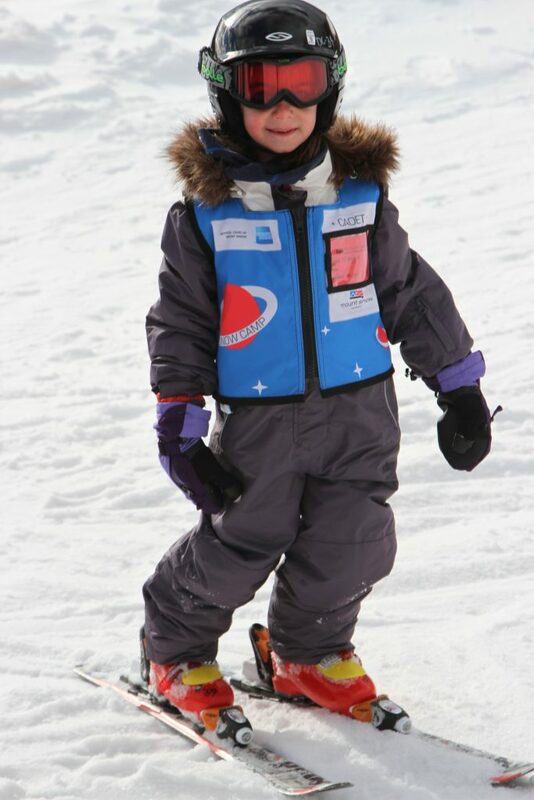 I think not leaving them cold, in all the new gear on the mountain was key to them not being nervous (in my opinion). They went in eager to meet the instructors and other kids. Between 9:45 and 10AM they got ready to hit the slopes and went outside. 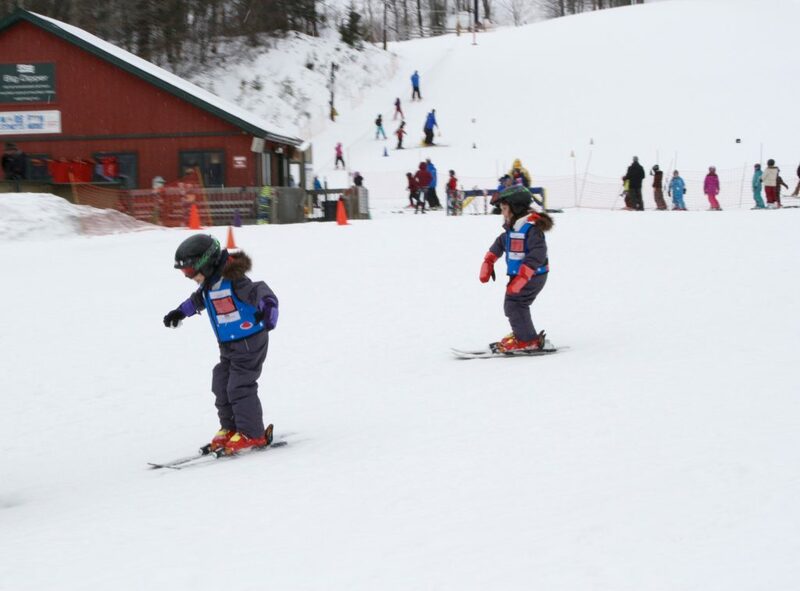 They learned for a little while before trying the magic carpet and skiing down the hill. The instructors were very hands on and there were plenty of them to the ratio of kids. Throughout the day, they had breaks for hot chocolate and snacks. They were also served lunch. All of this was included in the program. I went to watch the last 45 min of the day and couldn’t believe my eyes. The kids were skiing! I was so proud of them and most importantly they were SO PROUD of themselves. I didn’t know what to expect after a full day of Ski Camp, but I was kind of expecting super over tired, grumpy kids. My girls were all smiles and didn’t want to leave. I was shocked. They couldn’t wait to ski again the following morning with their Dad. 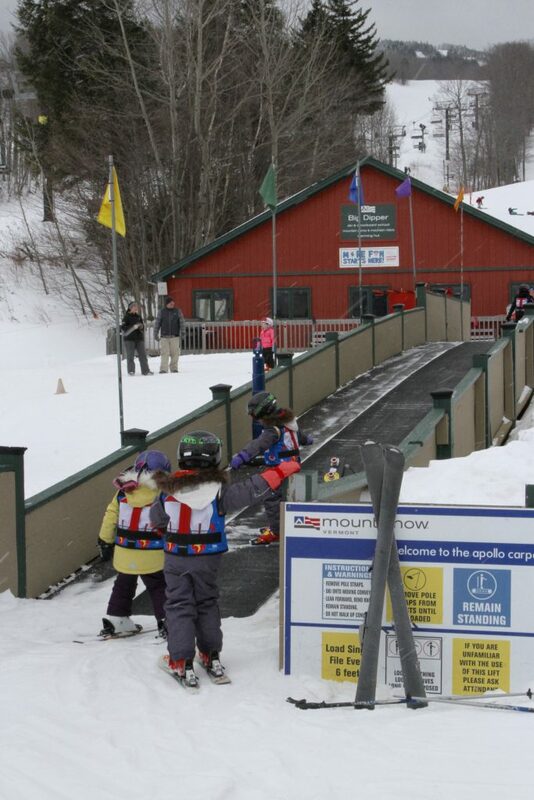 I wish we lived closer, because you can get season passes for lessons so the kids can continue practicing all winter. Our first family ski trip was a bigger success than we imagined and I honestly credit it all to the amazing Ski Camp at Mount Snow. We were not compensated for this post. We did receive an invite to ski school for the purpose of review, but all opinions are our own.